Many people say that they like winter outfits more than summer ones, I'm one of those who get excited to wear winter clothes. I think that the reason for this, is that in winter you can wear more pieces than summer, so this will allow you to match more pieces of clothes together and have your own style in your outfits. One remarkable piece of clothes that you can wear in winter but not in summer is the scarf, which will keep you warm and give a stylish touch to your outfit. 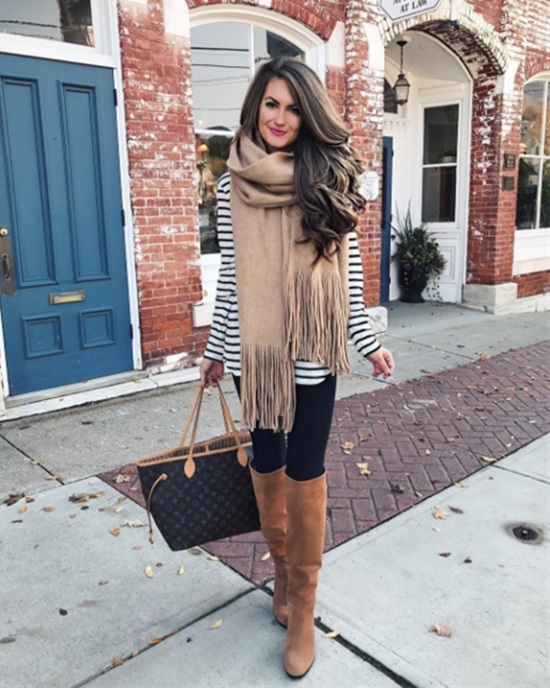 Scarves come in many colors and styles, you should be careful when choosing what scarf to wear, it could ruin your whole outfit, or it could attract many nice compliments about your style.